HD 1920 X 1080 , 30 fps 40 sec. 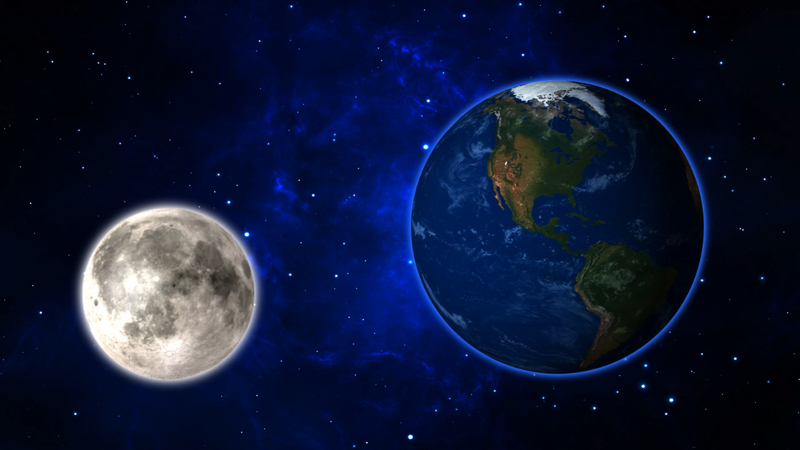 It has a few glitches: 1) The moon face should move with the orbit around the Earth; 2) Sometimes image of the moon is not the same coming from behind the Earth. Some seconds later it does finally loads full moon image. Other than that... GREAT WORK.